The more you simplify the animation, the better it looks. 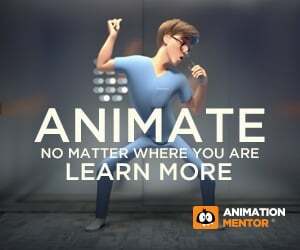 Have you ever gotten lost in the complexities of your animation? Do you tend to over-complicate your work? In this piece, Animation Mentor co-founder and current mentor Carlos Baena walks us through his personal journey towards simplicity and why it’s always better to simplify than complicate. I graduated from college 20 years ago. There was no Maya at the time and very few 3D software packages that specialized in character animation in the 90s, unless you were using 3D Studio Max. Therefore, much of what I learned about computer graphics was done while in school, on Silicon Graphics computers, in programs like Alias/Wavefront and Softimage, which at the time were beyond expensive. So I found myself in the school computer lab 24/7 taking advantage of this expensive hardware. As I spent so much time there, I learned many lessons along the way. Back then, I half learned to do a bit of everything, from modeling, to rigging, to shading, and lighting before getting to do animation. 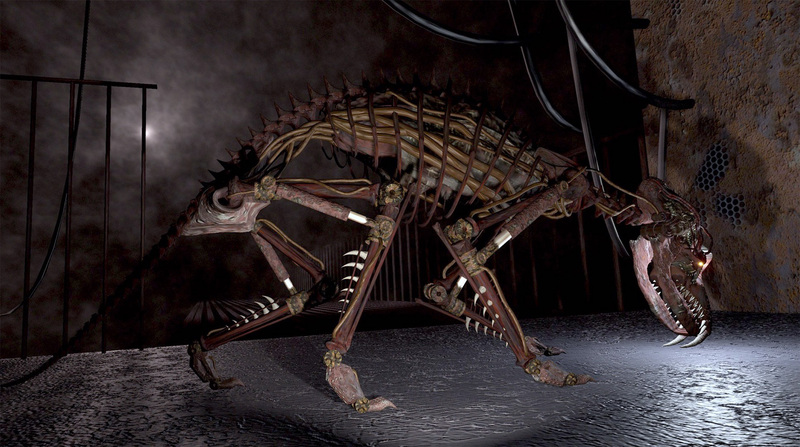 I do remember back in 1997 trying to animate a very heavy geometry skeleton/steampunk character I modeled and rigged…only to find out it was so slow to move around that I would have to wait several seconds for a simple leg to translate when I moved the manipulator on the viewport. Because of the frustrations this caused, I quickly realized I wasn’t learning much about animation/acting and I decided to rethink my last year of school. I focused on working on a 2D hand-drawn short film and I started doing simple 2D/3D animation exercises. 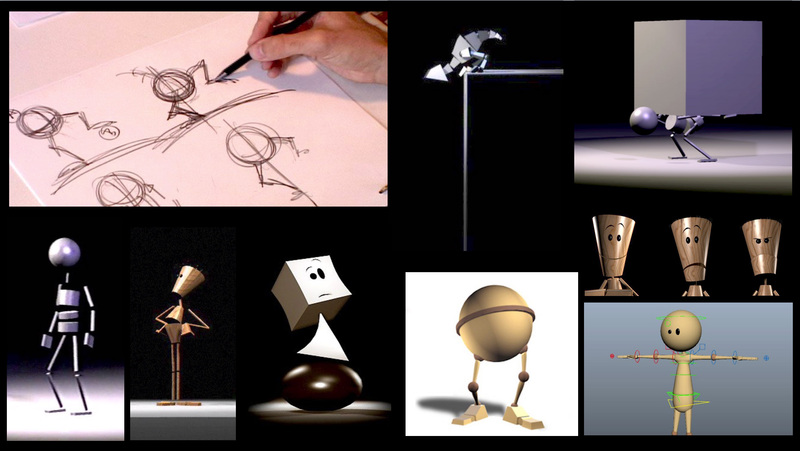 I worked with characters I’d designed out of basic, light geometric objects such as cylinders, spheres and cubes, inspired by the simplicity established in Pixar’s early characters. I wanted to not only move the character around in the viewport easily, but also frame-by-frame as quickly as possible to figure out transitions, breakdowns, arcs and, in some lucky cases, to playback an action in real time. As I’m not a character designer, the purpose was never to create a beautiful design. Instead, the goal was to get to the animation mistakes (posing/timing experiments through trial and error) as quickly as possible. I continued these kinds of short, simple animation tests even after getting my first job as an animator in the industry where I worked on commercials at Will Vinton Studios [now Laika]. Animation is a lifelong journey and even though I had just graduated from school, it was obvious I was just barely starting my education. As we started developing Animation Mentor in 2003, one of the early discussions I had with my partners Bobby Beck and Shawn Kelly, centered around making sure students didn’t focus on the wrong areas like we ourselves did in college. If their goal was to become an animator/actor, we would focus on those areas that helped us the most, both during college and afterwards in the industry. We discussed the type of models/rigs/characters students would use and decided to keep our early AM rigs as simple as we could to get them focusing on the animation basics right away. 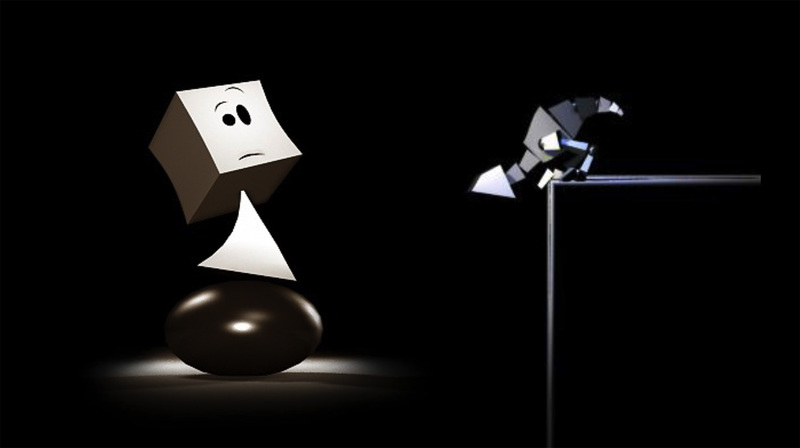 Computers in the early 2000s were considerably faster than in the mid-90s, however, keeping the character shapes simpler meant focusing only on the mechanics/performance and acting. So we went back to designing these characters using basic geometric pieces. Some of our early-2003 characters like “Ballie” came from those discussions/tests. Ballie is a ball with legs, feet, and a horizontal line across the ball to use as a visual guide for hip rotation. I’ve made the mistake of making things too complex a few times in my career, from animation/acting shots to making short films. It’s very easy to get carried away and bite off more than one can chew. Richard Williams and the Nine Old Men talk about the importance of keeping things simple when animating, whether it’s the planning, the ideas, the poses, the execution, or the acting itself. And this extends to anything you do, really. 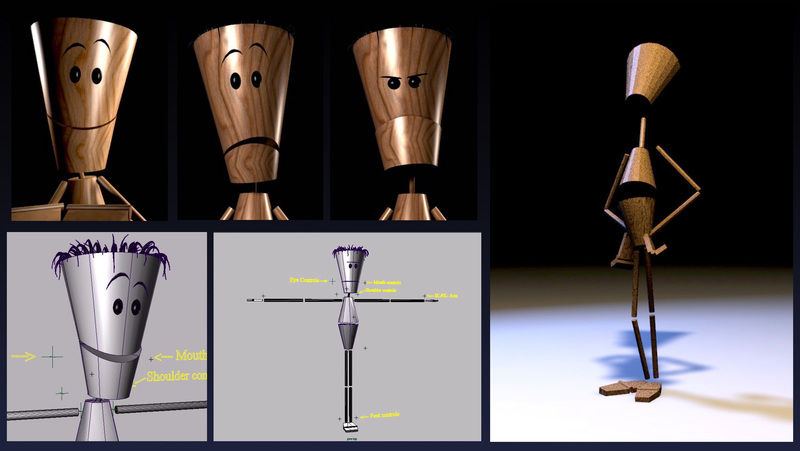 If you are modeling/rigging a character, make sure you keep it simple to the eye and simple to pose/move around. If you are posing a character, make a strong pose/attitude/emotion that anyone can read at a quick glance. If you are doing an animation shot, don’t have the character do too many things in a single shot and if you do, always make sure the audience is able to read and understand what’s going on throughout. In my experience, I found I learned animation/locomotion and acting a lot faster through simpler characters that I modeled/rigged quickly, rather than complex characters that took me a long time to model/rig and slowed down my learning. Making things look simple in animation can be really difficult. It’s always easy to put too many ideas into a single shot while making the audience feel confused. Sometimes it helps to use a well-told single idea. So as a general note and regardless of what you are working on, see if you can start as simple as possible. See what works and what doesn’t…then add things in or take things out. If it looks too simple as you get feedback, then you can add on top of it. But it’s always better to get something simple working first, than something too complex that doesn’t work. 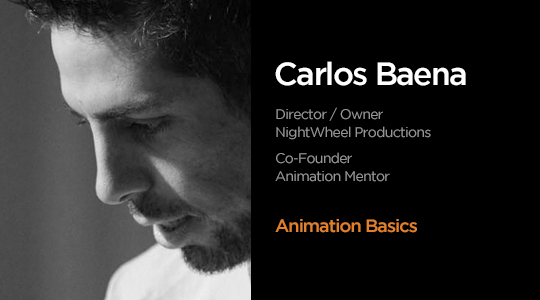 Want to learn animation from Carlos and other industry pros? Carlos Baena is a 20+ year veteran animator who has worked at Pixar Animation Studios and Industrial Light & Magic. He is the Founder & Director of NightWheel Pictures and has directed award-winning shorts films including La Noria and Play by Play. Some of his notable feature-length films include Toy Story 3, Ratatouille, Finding Nemo, and Star Wars: Episode II, and he was nominated for an Annie Award for his work on Cars.